True to her terrier roots, Bambi approaches every part of life with 110% enthusiasm. Going for a walk? Bambi goes for a run on an incline! Going rock climbing? Bambi is already at the top, wondering what's taking you so long. Going for a swim? Bambi has a gold medal and broke all the world records. This happy camper will remind you to #optoutside and #seizetheday! 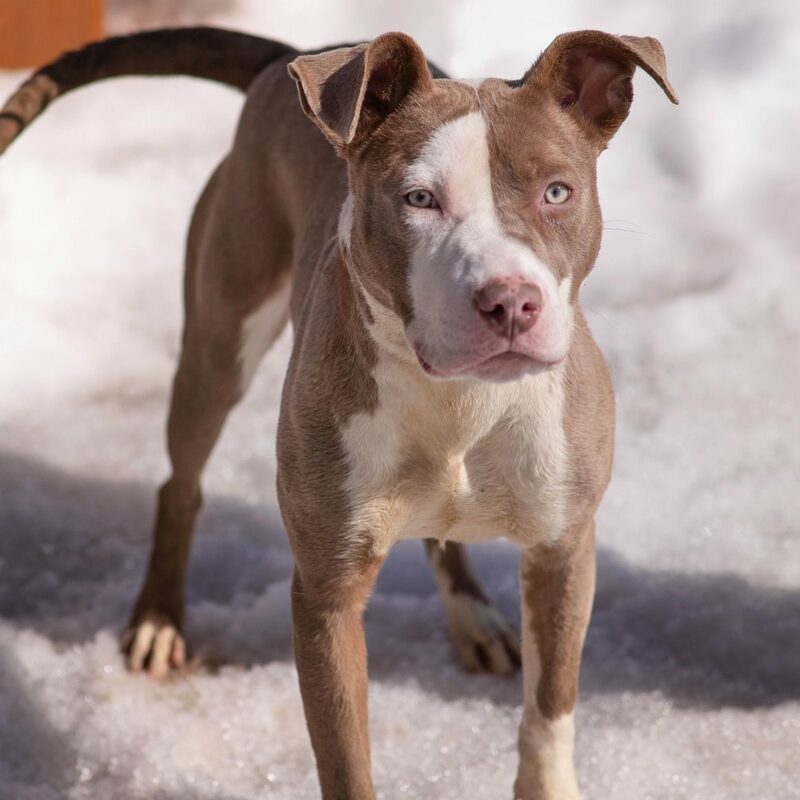 We'd love to find her a home that wants to install some basic obedience skills, go exploring with her, and most of all, appreciate her big, loving heart. Bambi can't wait to explore the world with you!